Leading Holistically explores systems thinking in educational leadership—a comprehensive framework that enables leaders to improve their practice by taking a holistic perspective, instead of relying on a one-size-fits-all solution to discrete aspects of their organization. Aiming to expand the existing literature on systems thinking in educational leadership and policy, renowned educational leadership scholars come together in this valuable book to examine systems thinking at the school, district, and state/national levels, providing strategies to guide educators toward success. 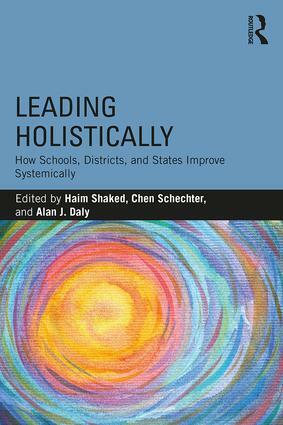 This important book unpacks the complexity and nuances of systems thinking in educational leadership and policy, helping educators face the growing complexity, change, and diversity in education to realize the promise of improvement for all those connected to and involved in the important endeavor of education.